Set a modern tone in your contemporary office area with this L-shape desk that sports curved metal legs and sleek wood surfaces. 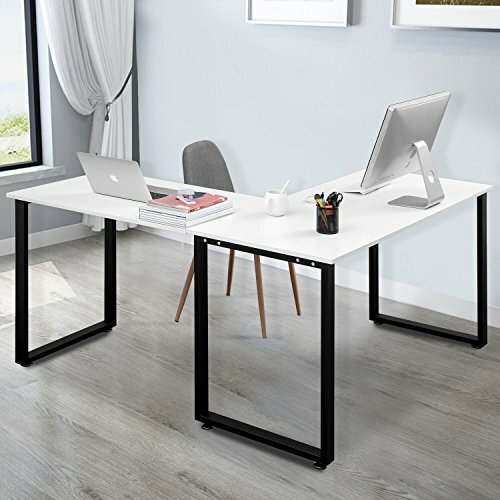 The L-shaped design makes it easy to fit this desk into a convenient corner, and the open space underneath leaves plenty of leg room for stretching out while you work. Notice: Items may slightly different from photo in terms of color due to the lighting during photo shooting or the monitor's display. If you have any questions about this product by Merax, contact us by completing and submitting the form below. If you are looking for a specif part number, please include it with your message.